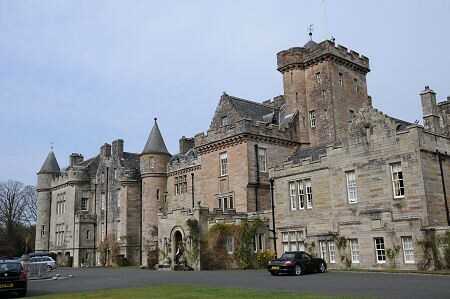 Ever wondered how magical it would be to disappear and stay in a castle? 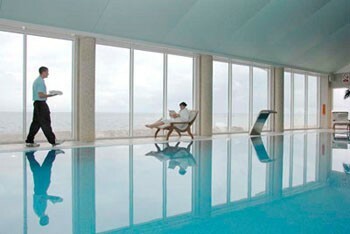 Then this wondrous spa break is just for you. 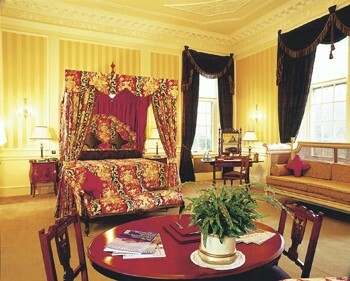 Wave goodbye to all tensions and stresses with the ultimate in bespoke spa breaks at Glenapp Castle. 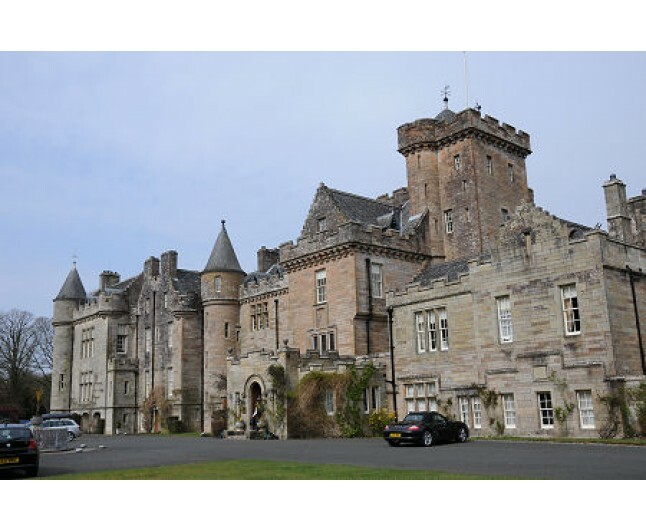 This fabulous two night stay for two offers you the joy of staying in an amazing castle with the fabulous interior of a boutique hotel, a stunning location, fine dining and beautiful individually designed bedrooms. What more could you ask for? This ideal hotel break is perfect for those looking to escape in to a different world well away from civilisation as you both will be granted a luscious two night stay, a spa day excursion with 2 treatments each, dinner on each night and breakfast on each morning. Have one of the best sleeps of your life as you spend two glorious nights in one of Glenapp's Master Bedrooms or Master Suites such as the regal Earl of Inchcape master bedroom suites where its historic feel and classic decor will have you feeling in another world. Perfect for that feeling of escapism to enhance your relaxation. 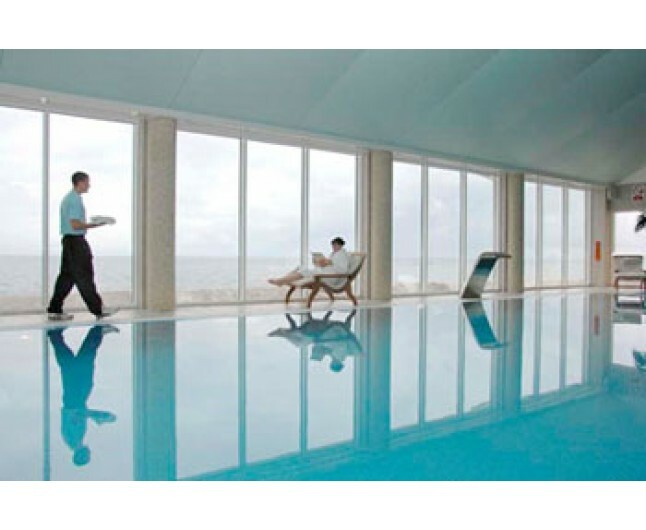 On one of the days of your stay, you will be whisked off to a spa day excursion at the beautiful Pebbles Spa just 10 minutes away in the seaside town of Ballantrae. After what may well be one of your finest nights sleeps, rise to an excellent hearty Scottish breakfast packed with local ingredients. 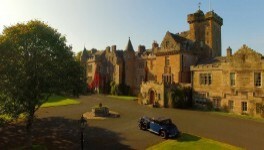 Dinner at Glenapp could well be considered as the favourite part of your stay as you will be spoilt to a SIX course gourmet dinner on BOTH nights of your stay as you dine in the opulent surroundings of the castle dining rooms while experiencing the sunset over the Castle Gardens with Ailsa Craig, Arran and the Mull Of Kintyre in the distance. Welcome to a truly hidden place. A place to be inspired, reflect, recharge and reconnect; where you will feel at home. This voucher is valid for 12 months from date of purchase for 2 people sharing a twin or double room for 2 nights accommodation dinner bed and breakfast subject to availability. Please note that between January and and mid-March the castle will not be open. Please note that the spa is approximately 10 minutes from the hotel, however, travel can be provided for guests. Upon booking with the hotel refer to the hotels terms and conditions for cancellation policy and check in / out times. The treatments including in the spa day excursion vary so you will need to check ahead for current options.